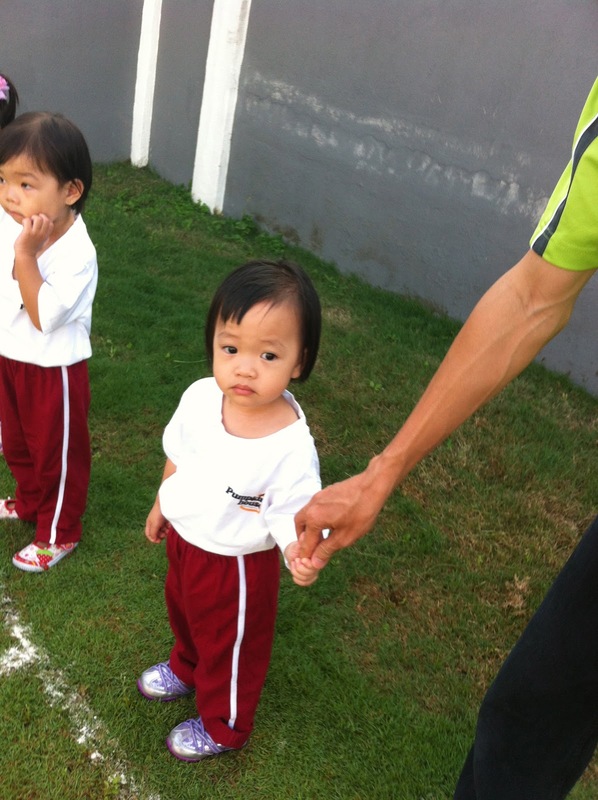 When I was in primary school, Sports Day is probably the most dreaded and miserable time of the year. My parents probably thought it was an exciting time because they showed up and took pictures of me holding a balloon (which I was supposed to burst by sitting on it) while standing in line with my classmates. 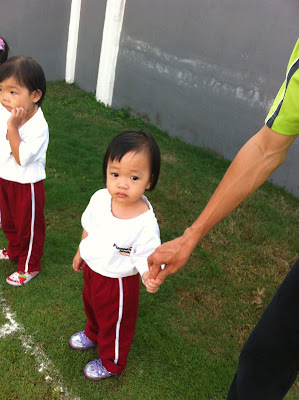 I didn't understand why, but fast forward to more than 20 years later, I couldn't help feeling the same excitement when I received a memo from Khayla's school that they were having Sports Day! So yesterday, even though I went to bed late the night before, I woke up early to prepare some food to bring for the potluck session after that. I also ordered some pastries from Uli-uli (they bake the fluffiest, softest, freshest and most delicious eclairs and cream puffs I've ever had) to be delivered to the school by 8.30am. Like me when I was seven years old, Khayla also did not understand why we were super excited about going to school on Sunday. She cried because she was woken up earlier than usual, carried to the bathroom for a shower and then told to eat breakfast. Parents were already gathering at the school compound waiting for the event to start. 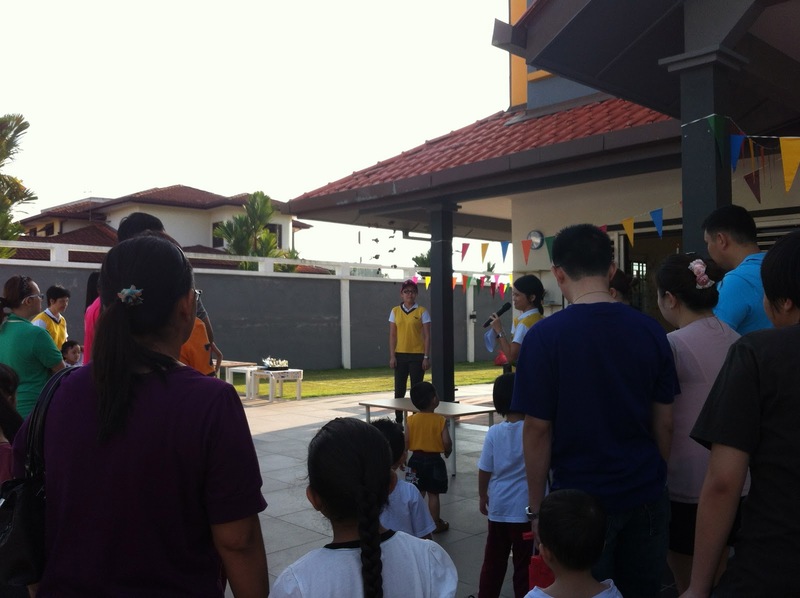 The principal greeted everyone and led everyone to sing the national anthem 'Negaraku'. Khayla's class being the most junior class (N1) was the first to compete in sports. The game/competition was really easy. In the first game, the children have to run and put on 'rabbit-ear' hairband, then run to a bowl filled with flour and dab the flour on their cheek before running to the finishing line. The boys ran first, followed by the girls. 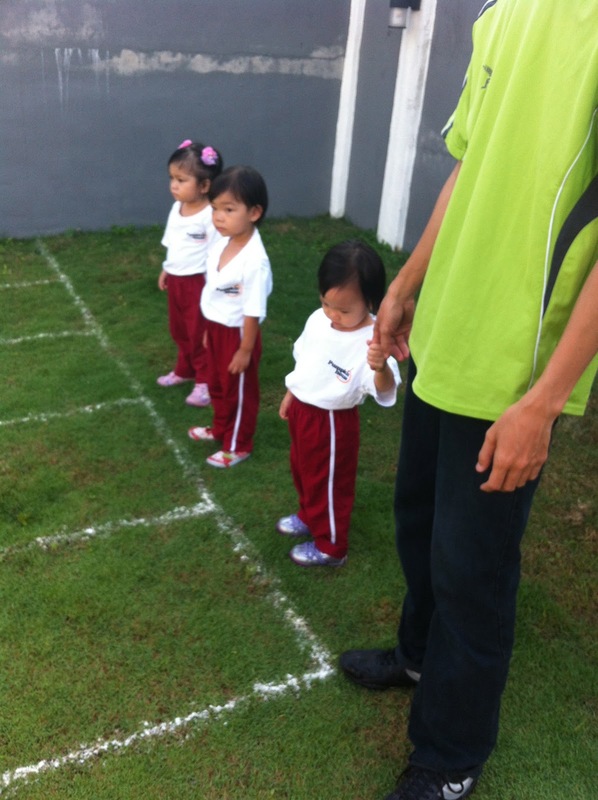 In the second game, the children have to pick up one half of a picture then ran to the end of the line and fitted that half to the right half of the picture. Khayla was not so keen to participate, so she refused to let go of her dad's hand at all! 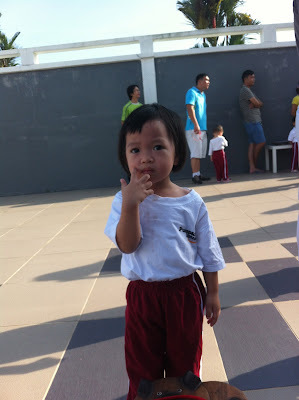 She was better than a boy in her class though, who cried so hard when the competition started that his father had to bring him out of the track :p Can't blame him, this must be his first Sports Day too. Not looking pleased at being asked to run early in the morning! Of course when she set her mind not to participate, she then refused to run. Rather, she walked, and then let her father picked up the item or dabbed the flour on her cheek, and then had to be dragged to the finishing line! At least she did not cry. 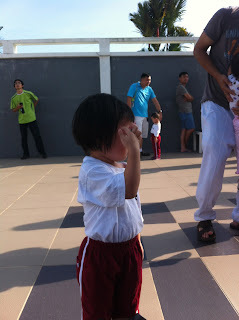 Khayla did not win any of the games but we did not mind because we were there only to have fun watching our girl participate in school activity. Haha. Tedah Khayla mesti nya sik paham kenak org berlumba di sports day ya.